Welcome to Burke County! Located in the western foothills of North Carolina is where you will see at a glance how this distinctive place earned its title as "best kept secret of western North Carolina." Reader's Digest magazine recognized this thriving area as one of the Top Ten places in America to work and raise a family. Life here is rich and productive, without the frenzied pace found in today's large urban centers. To a great extent, Burke County's natural inheritance is responsible for this appeal. Picturesque recreational lakes and rivers lie at the base of the towering Blue Ridge mountain range, separating the rolling foothills from the high country Appalachians to the north. 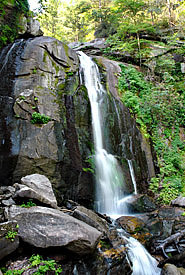 Pisgah National Forest and the Linville Gorge Wilderness Area lie within the 515 square mile area of the county. South Mountain State Park, a popular local getaway, lies 30 miles south of the Blue Ridge. Natural outdoor adventures beckon from all sides in the Catawba Valley piedmont: hiking, camping, fishing, boating and canoeing, or just plain lazing on warm rocks in the sun beside a sparkling mountain waterfall. Industry flourishes in modern Burke County. The award winning public school system is joined by diverse private educational organizations. The arts are a community treasure; entertainment runs from traditional mountain music to touring Broadway productions. History began here with the earliest European settlement in the interior U.S. and continued with the Revolutionary and Civil Wars and beyond. While the housing is modestly priced, communities are comfortable and safe. Joining the flow of newcomers to Morganton, the county seat, and other communities, are many returning natives who have realized that "there's no place like home." With a population around 17,000, Morganton is Burke County's county seat. The city was named after Revolutionary War General Daniel Morgan who led a patriot force to victory over the British in the 1781 battle of Cowpens. 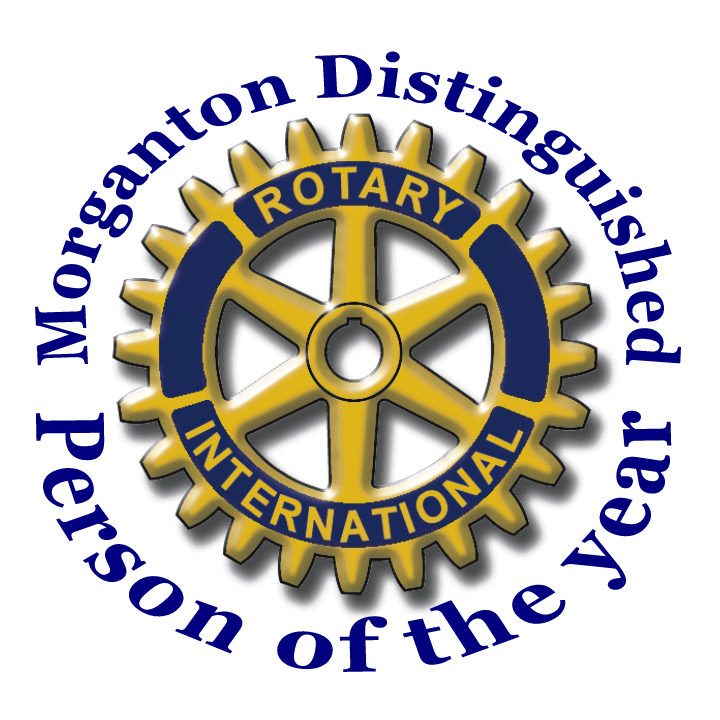 Morganton is a thriving place, known throughout the state and the southeast generally for its natural attractions, its dedication to the arts, and the many important state institutions here. Small-town living at its finest, Morganton has the shopping, restaurants, historical ambiance, temperate climate and friendliness to attract visitors year-round. Adding to its charm is the fact that it was featured as the setting for French author Jules Verne's last novel, Master of the World. Known in older times as Happy Home, Connelly Springs is another Burke County community that once thrived on the presence of local mineral waters and health-seekers, drawn to the Connelly Mineral Springs Hotel. With the tax rate being the lowest in Burke County (.05 per $100), it is attracting newcomers along with new and newely renovated businesses along N.C. Highway 70 that are experiencing a surge of growth. If you're looking for a new place to start a business, this might be the perfect location. Their economic development plan shows needs for a bank, up-scale restaurant, and a major grocery store. With new gated communities being developed along Lake Rhodhiss, this could be the place for you to call your "Happy Home." A small town with a big heart, the Town of Glen Alpine is located in the beautiful foothills of North Carolina. Between Morganton and Marion, Glen Alpine is just a few miles off Interstate 40, with U.S. Highway 70 intersecting the town. In 1868 the Southern Railroad was built through what is now Glen Alpine. "The little town five miles west of Morganton reaches an elevation of 1,315 feet, the highest point of the railroad in Burke County." Men on the railroad called it Turkey Tail because of a tree next to the railroad tracks that had the shape of a turkey tail. Nestled in the Blue Ridge Mountains and conveniently located off I-40, Drexel offers small-town living with great access to our larger cities. For over 60 years, Drexel has hosted two annual events for the community, the Spring Carnival in May and the Annual Fall Fair in August. While in Drexel, don't forget to drop by the renowned Drexel Barbershop on Main Street, where visitors are treated to fine bluegrass music. This small community originated with a sawmill and was incorporated in 1910. The Town Hall began its life as a schoolhouse with the first brick of the schoolhouse being built in Hildebran in 1917. Hildebran now boast a vital Senior Center and a county branch library, and like the other Burke County towns, it is proud of its historic buildings and its efforts at preserving them. While no longer in its original location, the depot is still a reminder of our town history. In 1853, a small private academy known as Owl Hollow School was located in the eastern part of Burke County. The school received funding from local resident John T. Rutherford which allowed it to expand. Prior to the Civil War the school taught military tactics and philosophy but it was forced to close its doors when the Civil War began. It later reopened in 1871 as a four-year college. The town of Rutherford College was founded 1871. Approximately 1,300 individuals reside in Rutherford College. Town History: In May of 1893, a group of Waldenses, from the Cottian Alps of Northern Italy, settled on land located near the Catawba River in eastern Burke County in North Carolina, between the towns of Morganton and Hickory. 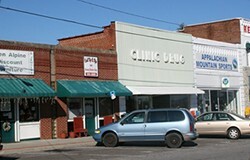 The center of this community became the town of Valdese. Brown Mountain lies in the foothills of the Blue Ridge Parkway with an elevation of only 2,600 feet. The Brown Mountain Lights of Burke County, near Morganton NC, have intrigued residents and visitors for hundreds of years. The lights are mentioned in local Native American mythology, and by Geraud de Brahm, a German engineer and the first white man to explore the region, in 1771. The lights have been described in many ways from being a glowing ball of fire, to being a bursting skyrocket, or a pale almost white light. The fact that they never seem the same is as fantastic as the lights themselves. At times they seem to drift slowly, fading and brightening and at other times they seem to whirl like pinwheels, then dart rapidly away. Grandfather Mountain is the highest peak in the Blue Ridge mountain range and the only private park in the world designated by the United Nations as an International Biosphere Reserve. Marvel at 360-degree views of mountain ridge after mountain ridge retreating to the horizon and discover sanctuary for the human spirit. The Mile High Swinging Bridge was built to give visitors easy access to the breath-taking view from Grandfather Mountain's Linville Peak. Grandfather Mountain has 11 trails varying in difficulty from a gentle walk in the woods to a rigorous trek across rugged peaks. It is in the backcountry that you come up against the more challenging hikes. Tucked away in rolling hills at the base of Linville Gorge is Lake James, a 6,510-acre lake with more than 150 miles of shoreline. This impressive waterway is the centerpiece of Lake James State Park. Here, nature offers scenic vistas of the Appalachian Mountains and beckons to those with an appetite for recreation. Bring family and friends to one of North Carolina's newest state parks for a variety of activities. Try swimming and sunbathing or enjoy a picnic along the lakeshore. Boat, water ski or fish in cool mountain waters, or take a walk and enjoy an abundance of wildflowers and wildlife along park trails. 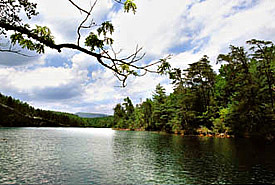 Lake James offers a variety of ways to enjoy the outdoors. Linville Caverns are North Carolina's only caverns and lie deep inside of Humpback Mountain. Located just south of Grandfather Mountain on US 221 North, (and just 4 miles south of the Blue Ridge Pkwy) these caverns were first explored by the white man over 100 years ago. It is said that in 1822 a fisherman noticed trout swimming in and out of the mountain and he began looking for a way to see where they were going. While visiting the caverns, you can experience the awe this fisherman felt upon viewing the inside of his discovery. 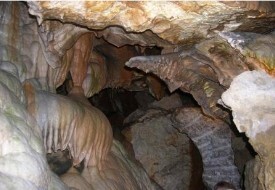 Linville caverns remain active as mineral deposits continue to form the stalactites and stalagmites. The water produced by this mountain with it's corbon dioxide, created the caverns by dissolving limestone and dolomite thus creating natural passageways into the mountain. The Grand Canyon of North Carolina The Linville River with its source high on Grandfather Mountain has, by its tremendous scouring action, formed one of Eastern America's most scenic and rugged gorges. The steep walls of the Gorge enclose the Linville River for 12 miles. The river's swift waters descend over 2,000 feet before breaking into the open levels of the Catawba Valley, Elevation averages 3,400 feet along the rim of the Gorge and 2,000 feet on Linville River. 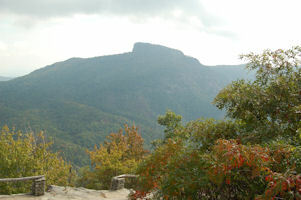 The Linville Gorge Wilderness, in the western North Carolina Mountains, is part of the Pisgah National Forest. The gorge is formed by Jonas Ridge on the east, and Linville Mountain on the west and is bisected by the Linville River, which drops into the valleys below. The odd assortment of rock formations located on Jonas Ridge include Sitting Bear, Hawksbill, Table Rock, and the Chimneys. Elevations range from 1,300 feet on the Linville River to 4,120 feet on Gingercake Mountain. The terrain is extremely steep and rugged with numerous rock formations. It is covered by a dense hardwood/pine forest and a wide variety of smaller trees and other plants. Recreation opportunities include hiking,backpacking, rock climbing, fishing, and hunting. Standing approximately 40 feet high, McGalliard Falls was a favorite hangout for the Waldensian settlers. The settlers would meet at the Falls on Sunday to wade in the creek, socialize, stroll through the woods or simply relax on the rocks watching the swift moving water come over the falls. Today's park has four lighted tennis courts, a volleyball court, playground swings, picnic facilities and restrooms in addition to the natural attraction of the falls. Meytre Grist Mill, originally constructed by Fred Meytre in 1906, is not only a tribute to the past but a working attraction for the present. "From This Day Forward,"is a drama performed in an outdoor amphitheater between mid-July and mid-August that depicts the story of the Waldenses. This production has been held annually since 1967 at the Outdoor Amphitheatre in Valdese. Also be sure to walk the Trail of Faith: a collection of 15 Buildings and Monuments preserving the courageous history of the Waldensian people. During the fall and winter months, the old Rock School auditorium in Valdese bosts some of the best bluegrass concerts in the state. Learn More about this outdoor drama. Visit one of the state's most rugged parks. Hike the trail to High Shoals Falls to witness the roar of the waterfall as it pours into a large pool. Backpack through the woodlands for primitive camping. Fish for trout in miles of mountain streams, or bicycle along the 17-mile mountain-bike loop. Centuries ago, in the Cottian Alps, west of Torino, Italy and in the Western Piedmont of Italy, the Waldensians learned the craft of creating great wines. One reason that Historic Valdese was favored by Waldensian settlers is the terrain, climate and soil composition here was similar to their homes in Italy. 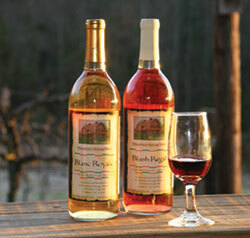 And today, these wine-making skills are preserved by Waldensian Heritage Wines, located a couple of miles north of downtown Valdese. Visitors can witness processes that reflect a combined 250 years experience in wine making. Built of local field rock and timbers, the Waldensian Heritage Winery opened in 1930.